Though St. Paul residents approved ranked-choice voting in a 2009 referendum, it may be heading for a vote in St. Paul again. Opponents of ranked-choice voting, also called instant-runoff voting, say it has unnecessarily delayed results and hasn't delivered on supporters' promises. They're going to make their case to put it back before voters as soon as November. "It promises a lot of things and it doesn't deliver on any of them," says Chuck Repke, a neighborhood activist, one-time city council staffer and political activist. He's leading the ranked-choice repeal effort with a plea to a St. Paul Charter Commission committee Monday, asking it to restore a primary for municipal elections. That election used to narrow the field to two nonpartisan opponents in general elections. Backers of ranked-choice voting said it could help boost turnout, make campaigns less negative and diversify the electorate. They're fighting the repeal and say it's too soon to dismiss the potential benefits. But for Repke, the biggest problem is that winners are elected without a majority of people voting. "In the case of the Ward 1 race in St. Paul in 2013, 25 percent of the people who went out and voted that day didn't vote for one of the top two vote-getters," he said. "There's something inherently wrong with that." Instead, Repke would replace ranked-choice voting with an August primary and a runoff in November as soon as 2019. He said ranked-choice voting needlessly delays results and complicates voting, and it hasn't helped third parties gain a foothold. He also said a two-person November ballot lets voters see distinctions among the top contenders more clearly. Supporters of ranked-choice voting say it's premature to switch back. Only three City Council elections, involving only about 16,000 total votes, have been decided by ranked-choice. And despite a mayoral race since the change, no citywide election has been decided by ranked-choice voting. Incumbent Mayor Chris Coleman won an outright majority in 2013, which meant no second-choice ballots had to be counted. Jeanne Massey of FairVote Minnesota, which backs ranked voting, said there are good reasons why voters approved the system in 2009. She said opponents are ignoring the problems with the old system. "They want to put back in place a local primary which would be held in early August in odd years. Where 5 — if you're lucky, 10 percent — of the voters would be turning out," Massey said. "It is a very poorly attended, unrepresentative primary." Ranked-choice voting brings together the most candidates with the most voters on one decisive day, she said, when turnout is highest and most diverse. But ranked-choice critics say the campaign to pass the measure in 2009 featured erroneous claims that ranked voting won endorsements from the city DFL and then-President Barack Obama, neither of which were true. The Better Ballot Campaign was fined $5,000 for what an administrative law judge called "multiple and deliberate" campaign violations leading up to the 2009 vote that approved ranked voting. Shawn Towle, a St. Paul political consultant, is pushing for the repeal. "If it's the case that you had a tainted election in 2009, what's the problem with a redo?" Towle asked. Voters have had a look at it and can better judge the system, he said, and he thinks it's a fairer question now. 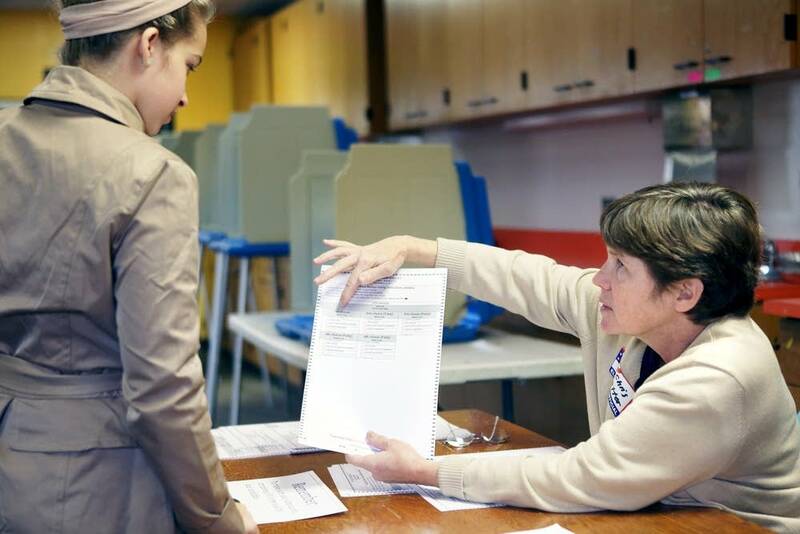 "There's two people, maybe five or six, who are trying to repeal ranked voting," said Ellen Brown, who chaired the 2009 campaign for ranked voting in St. Paul. "There were 7,000 people who signed a petition to get ranked voting on the ballot initially, so that we could use it. And there were 17,000 voted to use it." That was only about 500 votes over the 51 percent bar to amend the city's charter. But Brown said exit polling in recent elections shows voters like and understand the system. Apart from the balloting, elections haven't changed much with ranked voting. For example, negative campaigning — which ranked voting was supposed to thwart — is still a visible factor in local races. Joe Mansky, elections manager for St. Paul and Ramsey County, said promises that ranked choice would appeal to more voters haven't panned out. "In the three elections that we have conducted, we haven't seen any real change in turnout, good or bad, as a consequence of having the ranked voting methodology," Mansky said. The charter commission's charter review committee will weigh Repke's initiative Monday at 4:30 p.m. in City Hall. The committee could suggest a review by the entire 15-member City Charter Commission or drop the matter. The commission has until July 11 to decide whether St. Paul should vote on voting again, though it will have to hold a public hearing on the proposal before it can get on the ballot.